If you follow me on social media, you are aware that we made the lonnnggg drive to the small town of Princeton Maine where my husband grew up. Growing up in the suburbs of Cincinnati, visiting Princeton is a bit of a culture shock. There are no fast food restaurants (at least not in town – you can drive 1/2 hour to Calias if you are craving Subway, Burger King or McDonalds – which I did make a trip for my iced mocha once. I was feening!) There is a small ACE hardware, a small local grocer, and 2 gas stations. All of which are closed by 8 p.m. I have 2 dozen stores within 1 mile of my house, some 24 hours, and I can’t even count the number of fast food restaurants – including like 3 Mickey D’s in different directions. Though I am going to have more post about this small town, and the beauty of it – I wanted to post about a small little restaurant when we made the hour trip to Eastport Maine. I have visited Maine 7 times and not once had I had fresh lobster. 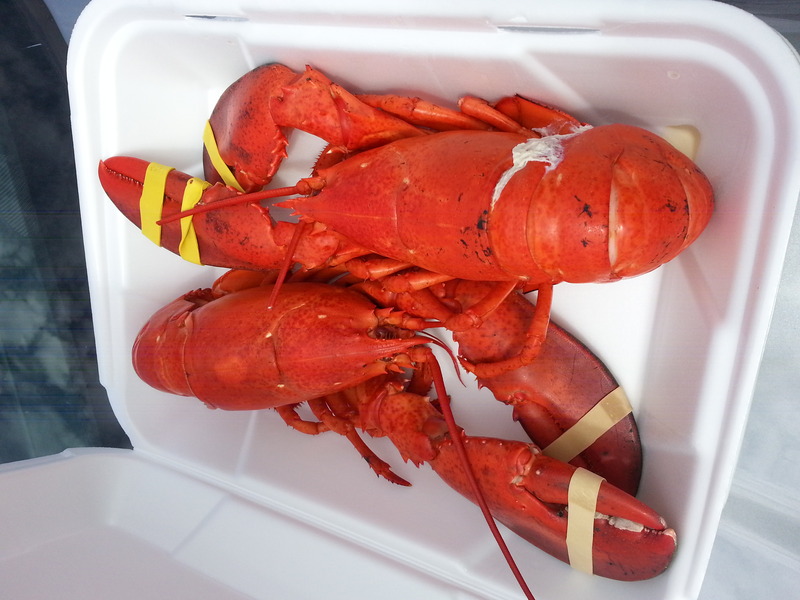 My 12 yr old was begging for it as well, so we decided to make a trip out and see just how ‘fresh’ the lobster (or lobstah as they say it) really was. We were visiting the town before ‘tourist’ season – which I was told from the locals doesn’t really begin until July 4th weekend. It was quiet -and a bit chilly being so close to the water. Eastport is literally where river meets ocean, so the wind is definitely whipping! 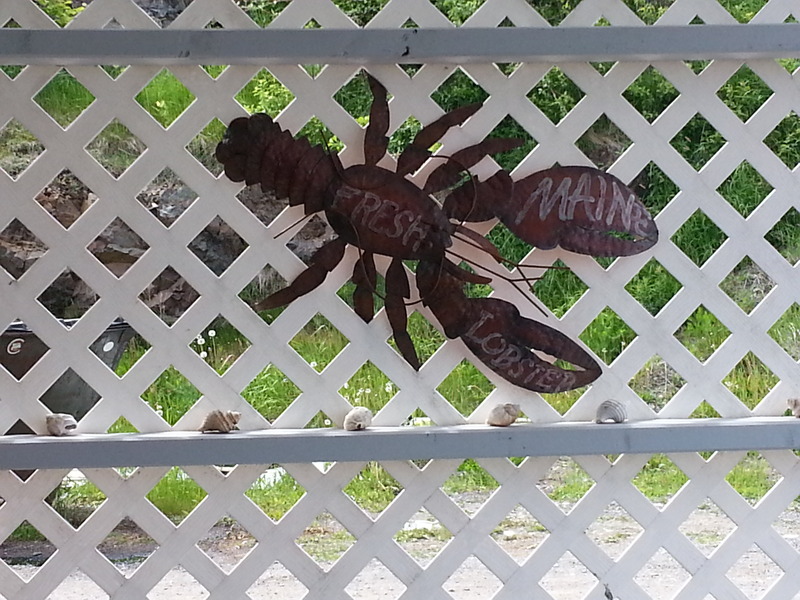 As we drove towards the end of the town, we stopped and asked where the best place was to get fresh lobster – and was directed to go down by the water, hidden behind a motel and some empty buildings to the Quoddy Bay Lobster stand. 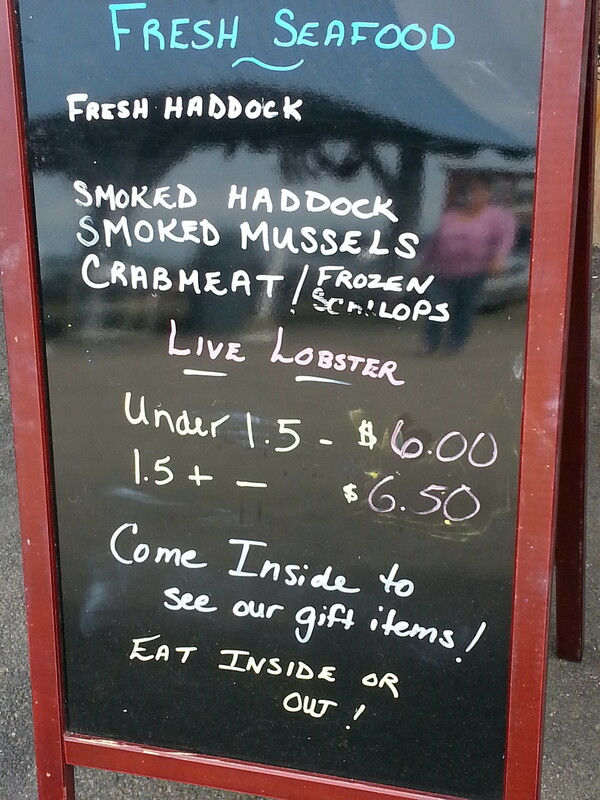 When we walked up, there was a outside window to place your order – along with a menu of all kinds of seafood items. I was seriously surprised how cheap everything was. 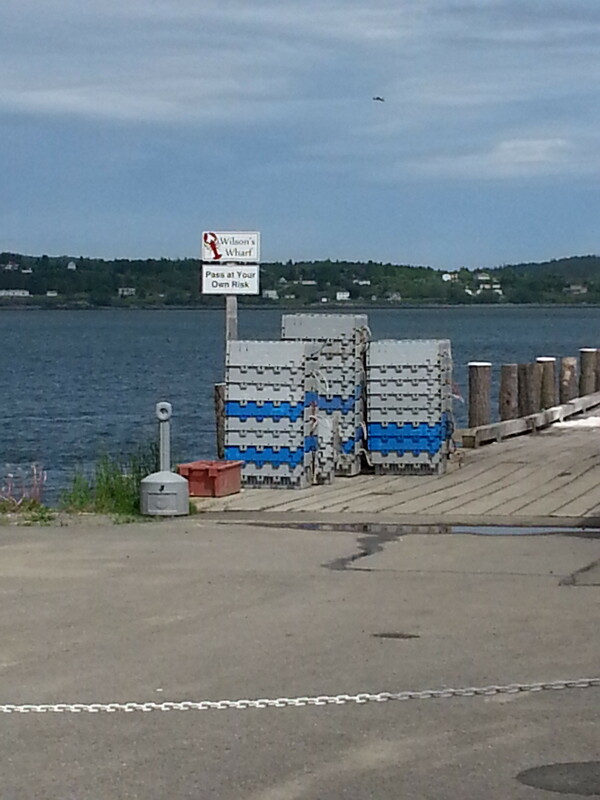 Lobster in our neck of the woods is easily $12 a pound..after being frozen an shipped an stored for who knows how long. It’s funny to realize why they call it fresh and cheap – the boats bring the lobster right up to the restaurant, and then they steam them for you right there! Instead of a ‘sit down’ restaurant, there are picnic tables outside so you can sit and enjoy the view while you eat. 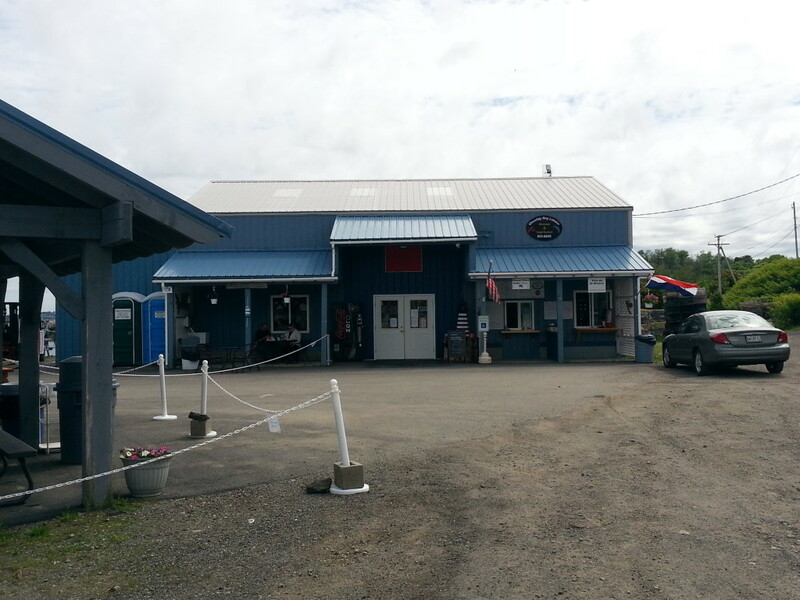 They offer not only fresh lobster, but fish, scallops, lobster rolls, salads, and more! I wanted to try a bit of everything! 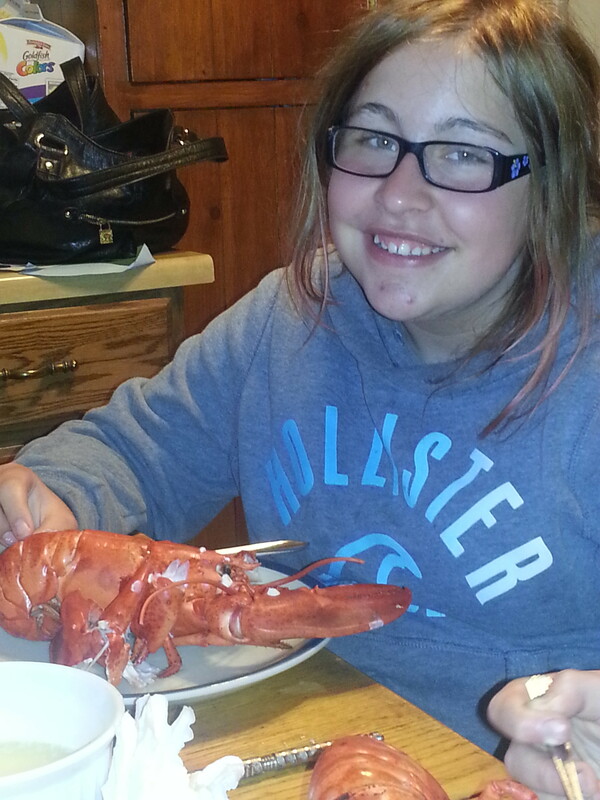 My daughter was THRILLED that we finally were able to try fresh Maine lobster right off the boat. Scratch that one off our bucket list!! This entry was posted in Hidden Gems. Bookmark the permalink. This looks so fun! I’ve honestly never tried lobster. I’d think getting it somewhere that it’s famous for being awesome would be, well, awesome! Fun. It’s those hidden places that always have the best food. I bet that food is delicious! What a neat place. I’ve never been to Maine before but it seems like a really nice place.